Just collect and customize the robot-comopnents, and build your original robot. 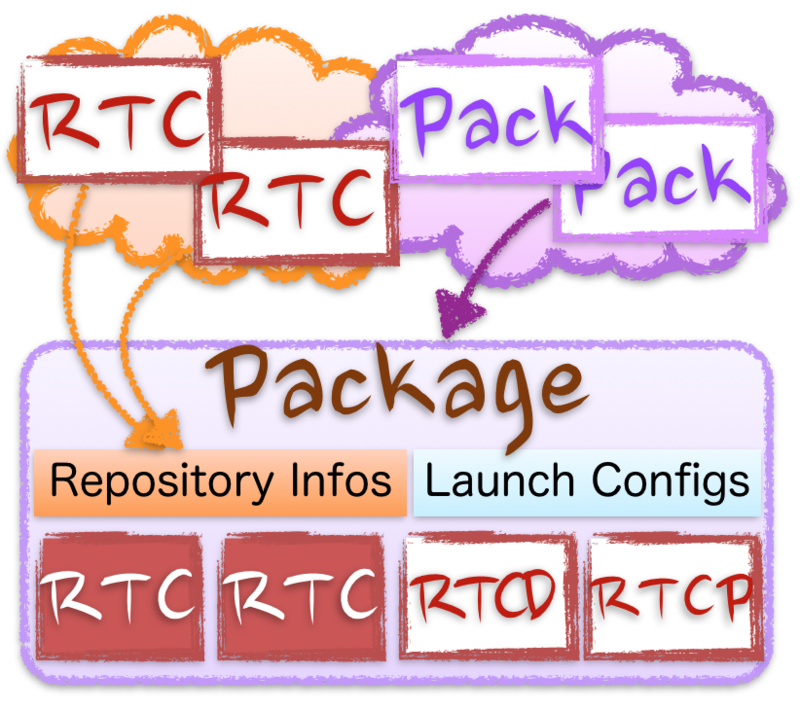 "Package" contains RTCs and System construction profile. 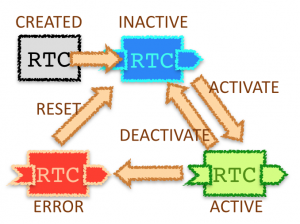 You can get Device driver RTC and its example system. 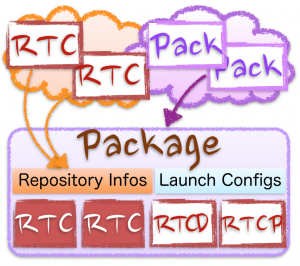 One-stop-service of Build RTCs, Configure/Connect RTCs, and Launch System. 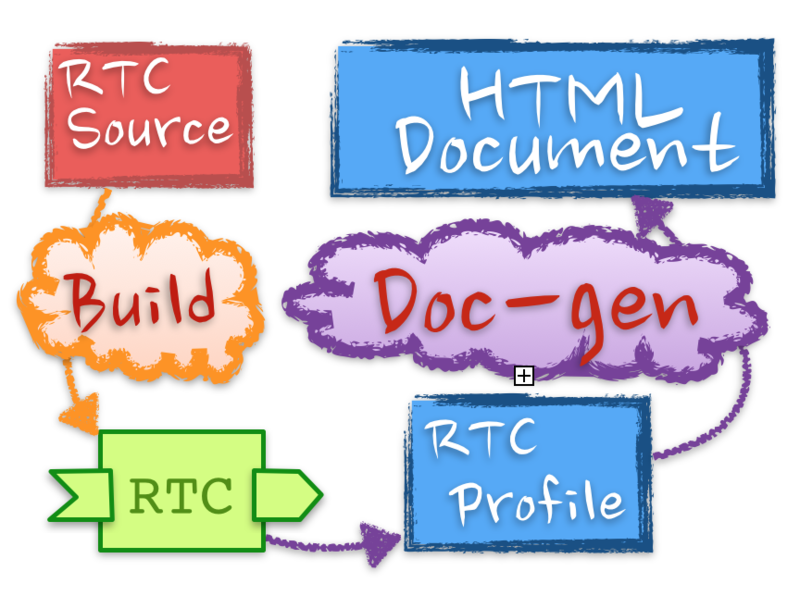 Automatically generate HTML documentation with Images from RT-component profile (RTCP). 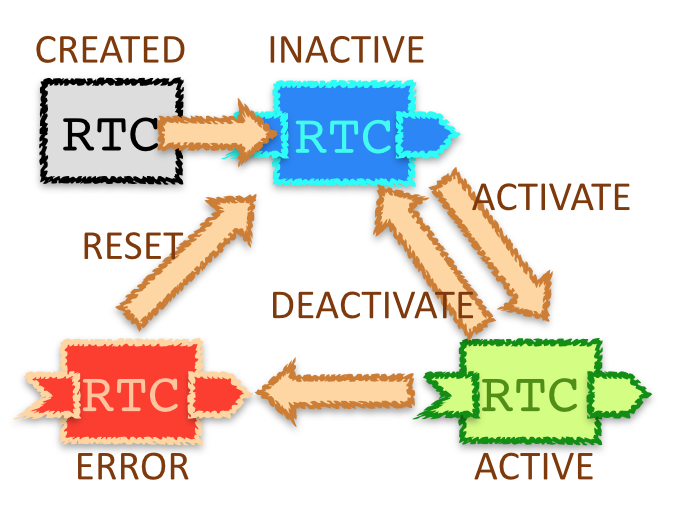 RTCP is also generated by the executable binary. The “wasanbon” is a framework for OpenRTM-aist which encourages reusability of “package” of RT-system. Development for RT system will be simplified by wasanbon! Robots are the collection of robotics components, like actuators, sensors, and intelligent algorithms. The RT-middleware is the software platform standard to enhance the robot development process faster, more dependable, and a lot funner! In RT-middleware, robotics softwares are focused. 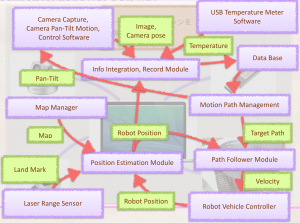 The elements (like actuator control softwares, sensing softwares, and intelligent algorithms) are called “Robot Technology Component”, RT-components, RTC). 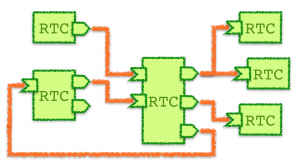 To build a robot, developers can collect and construct the RTCs. 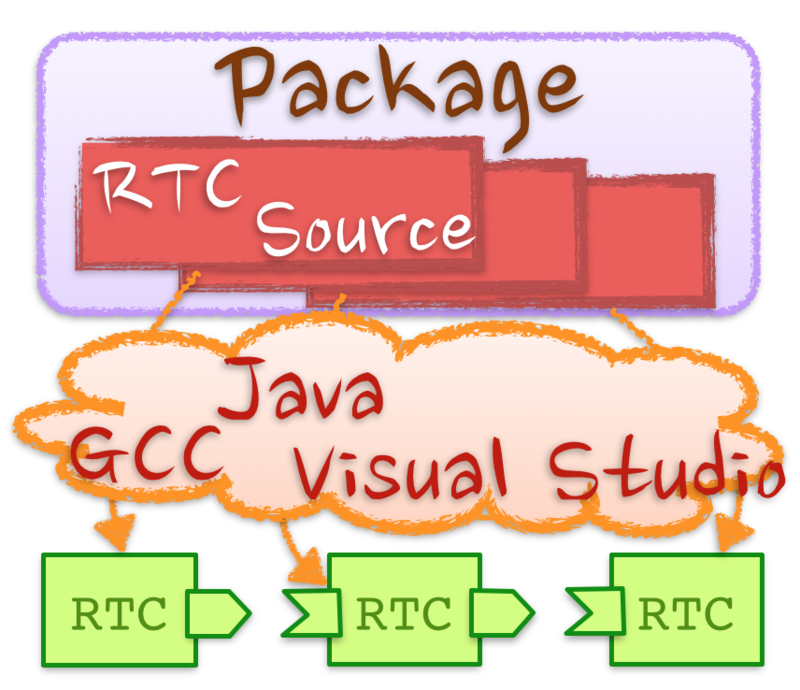 RTCs have “port” to communicate with other RTCs, so developers make robots by connecting multiple RTCs. 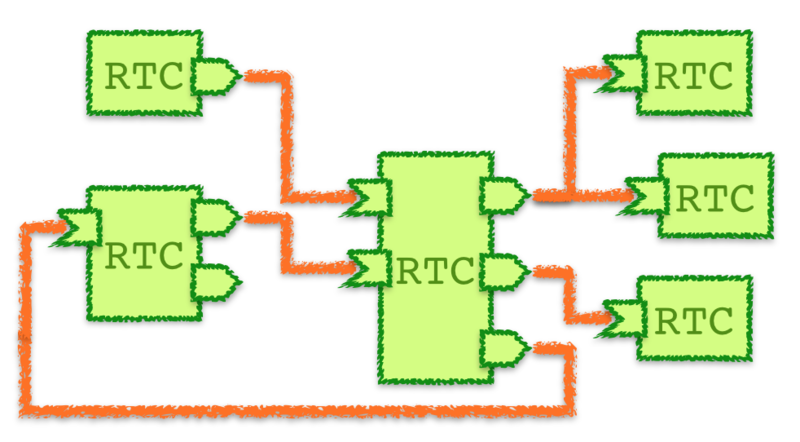 RTCs have a “state machine” to manage robot hardware/software resources. As described above, RT-middleware is just standard of robotic software platforms, so there are some its implementations. The OpenRTM-aist is the most popular implementation of RT-middleware developed by AIST, Japan. For more information about RT-middleware and OpenRTM-aist, visit official website. wasanbon helps developers to realize those robotic, distributed control software. Do you feel its boring to search / collect robotic software components? Do you ever feel its irritating to write the documents about the software components and/or whole systems. 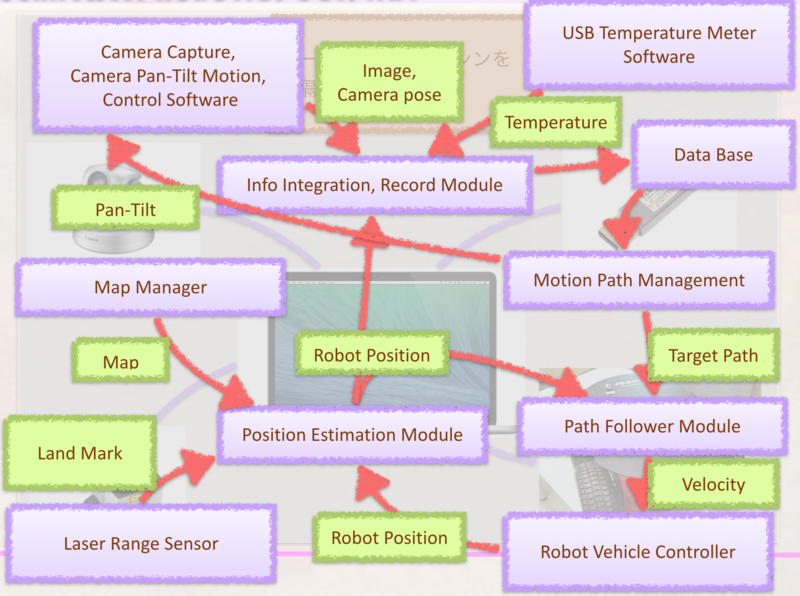 wasanbon is developed by Sugar Sweet Robotics Co., Ltd, where a robotic developer uses on the professional projects. Currently, still under construction, lots of version-ups, but help you to feel more easy to communicate with OpenRTM-aist. wasanbon supports to collect RTCs’ source code from repository services like github.com. You can view the RTCs under the management of wasanbon on here. 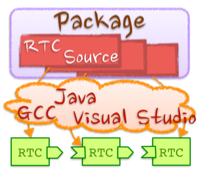 wasanbon also supports to provide whole RT-system with the collection of “package”. The package includes the repository urls of RTCs, configurations, and RT-system profiles. 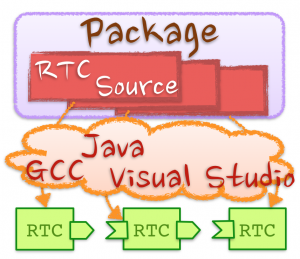 Just clone the package from our repository, then wasanbon will automatically collect all RTCs in the package. wasanbon supports simple build procedure with plain console interface. Just type “mgr.py rtc build YOUR_RTC”. After the build procedure, the RTC’s binary is automatically configured and included into system launcher process. OpenRTM-aist has RTC-daemon which supports to launch multiple RT-components in one process. This reduces system resources and gain the communication speed among RTCs. wasanbon helps documentation processes. 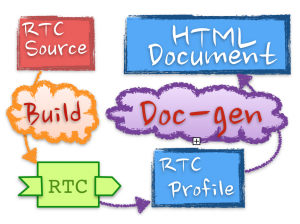 The documents for RTCs are generated from both the design documentation and built binaries. This results that the accuracy of documentations can be maintained automatically even if the developers modify the properties of RTCs in their source code! The documents of RTCs that are managed in wasanbon.org project are uploaded in this website. Please watch the documents out! wasanbon is originally the name of sugar made in Japan (see Wikipedia).